Grown world over as a food crop. The tuber matures in autumn when the plant goes dormant. 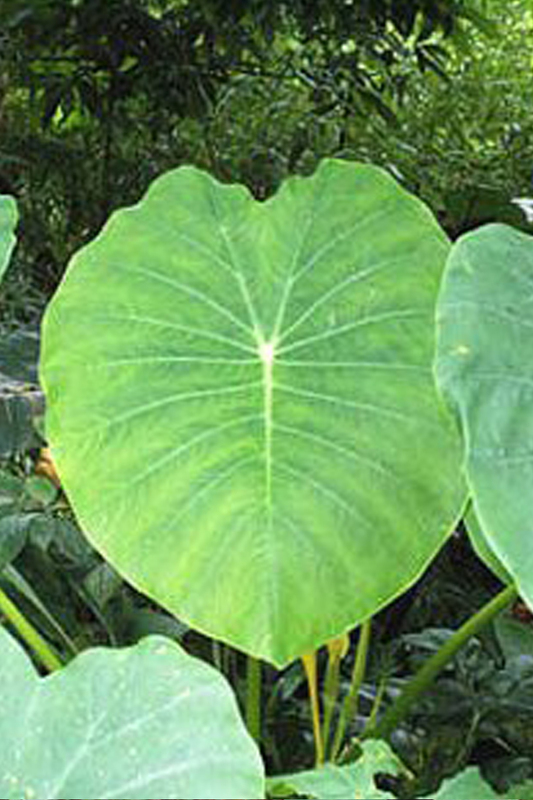 The plant often reaches a height of 5 feet tall with leave growing as wide as 2.5 feet.